A contest, a Winner, Winners and more Winners! Shannon Messenger is hosting a 3 books giveaway? Don't miss it, hurry ends August 7th! I'd love to thank everyone who commented along for Darkspell's Pre Book Launch Tour--THANK YOU! Deirdra Coppel, Alex J. Cavanaugh, M. S. Hatch, Tristi Pinkston, Susan Gourley, Jo Schaffer, Konstanz Silverbow, Melissa Kline, Lisa Turner, J. D. Brown, Anastasia V. Pergakis, Michele Bell, and Rebecca Carlson!!! As a thanks for their time and energy and love, I am entering my buddies for a drawing of Darkspell! ♥ The winner is Konstanz Silverbow! 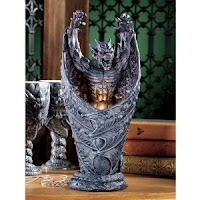 ♥ Congratulations Anthony Stemke, you've won the Dark Shadows Lamp! I had drawn 4 winners (S.B. Niccum, Sharlene T, Alex J. Cavanaugh, and Anthony Stemke) over the entire course of my Pre Book Launch in July. Out of the four, one will win a signed copy of Darkspell! Meet Michele Bell and Rebecca Carlson and The END! Fabulous Michele Bell has me over from for the 29th post--you'd be surprised just how busy published authors are! The watchers had spirited her away, but I managed to arrange something with her and freed her from the Shadoweaver's hungry claws! Please leave comments here to enter last drawing! Rebecca Carlson be my cap'n over yon at the Scribbler's Cove. Today she be interviewing me--the last stop of this splendiferous Pre Book Launch Tour! This be the last week of my Pre-Book Launch! To enter, comment on this week's bloggers from my Tour--don't miss out! Fantastic Friday Writers on Technology! First of all, I'd like to thank those who are participating in Darkspell's Pre-Book Launch Tour this month! Remember that the 30th is the last day to comment on this week's bloggers for the grand prize! Good luck! See the poll on the upper right corner of my sidebar? Please vote which color paper you'd like to see Darkspell printed on! Thank you! 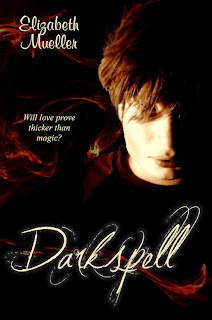 Lovely Konstanz Silverbow is giving my signed copy of Darkspell away--hurry, it ends when July does! So today we are discussing Technology. I would love to see what our FFW friends say about it: Alex, Anastasia, J. D., Deirdre, M. Pax, and Jeffrey. Surely more interesting than mine? Hmmm . . . Technology? I've written only one book where it takes place around the 9th century where, on another planet, there lives an advanced species. Chengral is ordered by his queen to destroy their ancient colony who've now become the Vikings as we know them. He sails across space in his ship and lands in the forest and tracks these humans. He is no robot nor machine but a creature whom the Vikings label as a demon by his mere appearance. That's my extent of my technology knowledge in writing! I can tell you what I think of it as a reader! I think it's fantastic and mesmerizing if it's given in tolerable dosages throughout the novel. If it's saturated, I become bored and lose interest . . . It's death for the book in my view, but isn't that what we're being taught as aspiring authors--things in moderation? Do you disagree? How do you view technology in books? How do you write about it? She is very creative, smart and resourceful--a friend you'd really want to have, especially if you're a writer! I'll be over at her blog today and tomorrow for my interview! Leave a comment to win last drawing July 31st! Fun, innovative and sharp J.D Brown is interviewing me today! Find out after whom I based Winter off of--quite by accident, too! Don't miss this week's last drawing! 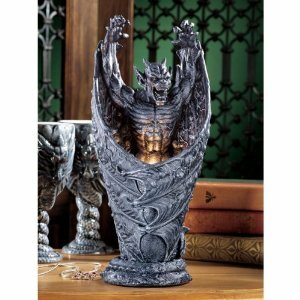 To increase your chances to winning the Dark Shadows Lamp, please leave comments with the bloggers in the tour! The more you leave, the more entries you get! This 27th and 28th I will be over at Anastasia's site! Congratulations Alex (classic! ), for winning the dragon book ends! Thank you for participating in my Pre Book Launch Tour! Last drawing for my Tour--let's go out with a BANG! This Monday J.D. Brown is interviewing me! Meet talented Lisa Turner! She's a fabulous writer who has climbed heights with her writing, I'm a proud friend! She is interviewing me today! Please drop by and say hi--see what makes me tick! Drop by, leave a comment, win*! Great news! I'm done with Darkspell's illustrations! I'm planning on sharing them sometime soon so you'd see how Darkspell is so exciting! J.D. Brown is interviewing me July 25, don't miss it! Beautiful Konstanz Silverbow is giving away my debut novel--oh, how sweet of her! Meet Melissa Kline, she is one imaginative writer whose book swept me off my feet--I can't wait to read more! 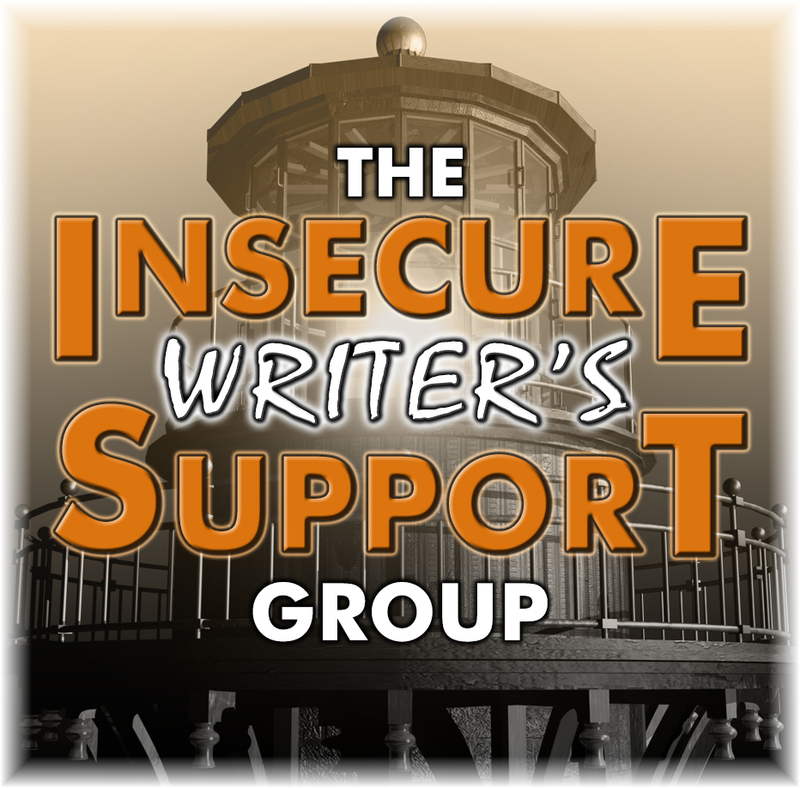 Today Melissa is interviewing me, please drop by and say hi, and see how I deal with writers block. Saturday I'm interviewing with: Lisa Turner! She is one of the sweetest writerly friends anyone could ask for! Meet Konstanz Silverbow, a passionate writer who writes creative stories. Today Konstanz is interviewing me, please drop by and say hi! Tomorrow I'm interviewing with: Melissa Kline! Meet the fantastic Jo Schaffer! She's a passionate writer who's taken it a step farther than most: she hosts writers conferences for youth; I admire her tenacity! Today Jo is interviewing me, please drop by and say hi! Tomorrow I'm interviewing with: Konstanz Silverbow! 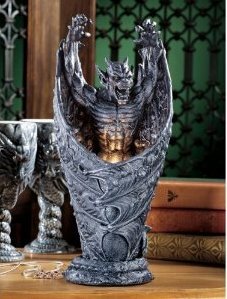 Congratulations, Sharlene T, on winning the beautiful dragon scroll for my 2nd week of Darkspell's Pre Book Launch! This is so fun, I love hosting giveaways and celebrating my book's debut as well as making so many friends and seeing my faithful followers--*HUGS* to you guys! I apologize to my bloggie friends for not actively commenting on your blogs. I've been SO busy illustrating for Darkspell--I'm averaging about 3 drawings a day. I started this endeavor July 8th and only take Sundays off. Some of them take about 3 hours long, while others longer. I'm using my kids as models and transforming their features to suit Winter and Alex. There are 39 chapters and I'm on picture number 23 and have 16 more to go! I'm so excited to see my book with all the gorgeous pencil-drawings I've been pushing myself to finish! I've asked my publisher for her permission to display them. I will turn that into an event in honor of my Darkspell when the time is right! All you have to do is comment on the blogs that are participating in my tour for that week and for extra entries, answer the questions I will post that Saturday! Yippee, today is Sunday! Happy Sunday, everyone! Here are more chances to win the Dragon Scroll and WINNER! I've had to redraw for our last prize and here is the winner for Nox Arcana's Shadow of the Raven! Welcome to my Darkspell Pre Book Launch Celebration! This is like a scavenger hunt. You will earn an entry for every correct answer you provide into the contact form as well as for every comment you leave at my friends' sites to win this prize! 1-How do I write around my kids? 2-What is my favorite thing about Darkspell? 3-From which book did I get Darkspell's story idea? 4-What makes my villain interesting? 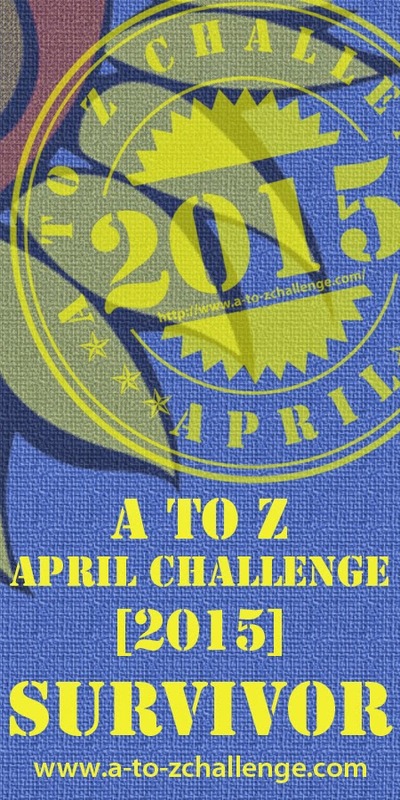 just for fun=2 extra entries! * What is at least one question Winter asks Alex in my teaser? NEW! I will enter all winners for an autographed copy of Darkspell! *As a prelude to Darkspell's release, I will show off Darkspell's art gallery over at my website. Stay tuned! Writers must have thick skin at all turns. We face the feeling of rejection from the very first day we create our draft. It goes through so many hands to get it to where it's at. The toughest, in my opinion, is the query letter. After working months to perfect that letter, we send it off. And wait. And hope. And wait. Then, wait, there is the email address from the agent/publisher in our e-box. We open it and . . . It is a rejection. I have to admit that it's discouraging. I feel that maybe my query letter wasn't well presented. Maybe it was the logline? Or if I'd already sent off the first 5 pages? One thing's for sure, I've received letters from a live person stating it wasn't what they were looking for. I think that's of comfort because that means it wasn't a match for them. I tell myself that the Lord didn't want my book there and there IS a home for it. If you've gotten as far as you have, book and all, there's no doubt that you were inspired by a higher force to get it this far. Why would it be meant to hide? I won't ever give up in submitting future query letters, if I ever do, I'm denying myself the life-time opportunity to shine! Believe in yourself, don't let anyone bring you down--that is my mantra. Let's see what FFW friends Alex, Anastasia, J. D., Deirdre, M. Pax, and Jeffrey experiences are with rejection letters! Darkspell's July 17th Pre Book Launch Tour Giveaway! Meet Susan Gourley! She has a fresh perspective on how to get the juice from my novel and is a fantastic friend. Today she is interviewing me today at her blog, please say hi! I'll be over at Jo Schaffer's blog July 18th, don't miss it! Meet Tristi Pinkston! She is a well grounded mother who happens to enjoy writing with a creative twist of humor. I love her books! Today she is interviewing me over at her blog, please say hi! 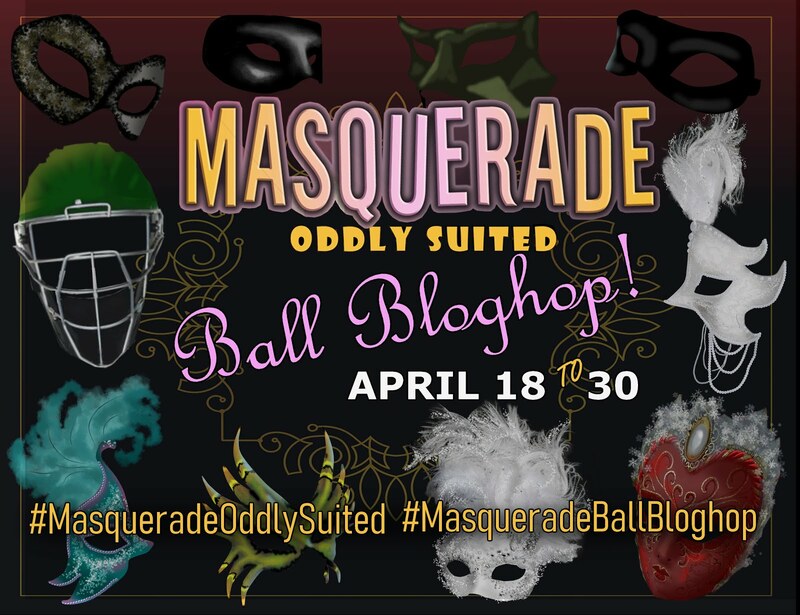 Tomorrow I'll be over at Susan Gourley's blog! Meet Marcy Hatch! She's a fabulous writer who enjoys the craft and shares the same love and passion as I do when it comes to paranormal writing. Today she is interviewing me over at her *blog, please say hi! *My interview is with her main blog, not at Unicorn Bell, sorry. Tomorrow I'll be over at Tristi Pinkston's blog! Meet the Ninja Blogger Alex J. Cavanaugh! He is such an awesome and savvy friend who knows what it takes to get the word out. See how I work around my kids' schedule for the love of my writing. 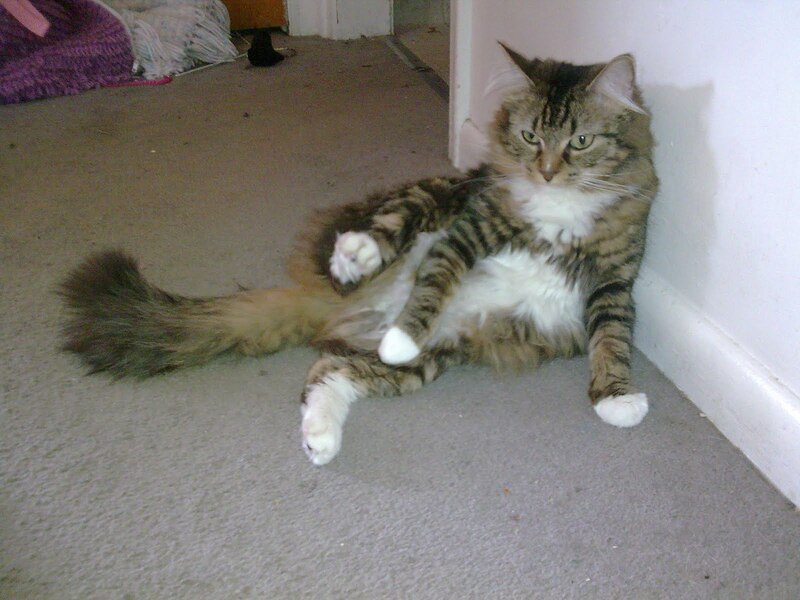 Today he is interviewing me over at his blog, please drop by and say hi! Visit Marcy Hatch for tomorrow's Interview at Unicorn Bell! 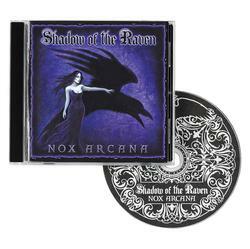 Congratulations, you've won Nox Arcana's Shadow of the Raven! 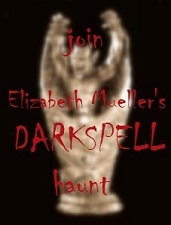 I'm also entering you to win an autographed copy of Darkspell*! Thank you for everyone who commented on this week's bloggers for my interviews/guest post! This is what you can win on the 17th! Just follow the links below for this upcoming tour! Have a great Sunday, bloggie friends! Check out my agenda for the past few months and those to come here! *all winners will automatically be entered to win an autographed copy of Darkspell! To keep things interesting for you, I am now throwing in a drawing for an autographed copy of Darkspell for all winners at the end of the month! Meet the multi-talented Deirdra Eden-Coppel! Aside from being my BFF, she is a fantastic cover artist. Her lush writing will certainly take you places, too! Today she is interviewing me over at her blog, please drop by and say hi! July 10th, I will announce the winner to my first giveaway here at my blog--hooray! "This musical tribute to Edgar Allen Poe takes listeners deep into the haunted realm of the literary master of the macabre. 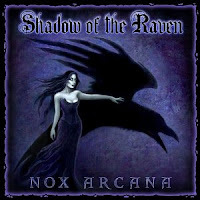 Nox Arcana weaves a lush tapestry of Victorian elegance and Gothic nightmares, inviting listeners to explore the shadows of the far landscape filled with ghostly melodies, mournful dirges, eerie sound effects and ominous orchestrations." My review: I found it very inspiring and motivating. Only you will know what exact music I listened to while I illustrated Darkspell's beautiful chapter art! My Darkspell haunters, please go here to answer your questions. Meet the creative Roland Yeomans! He has the passion craze for writing and you can tell by his written word. 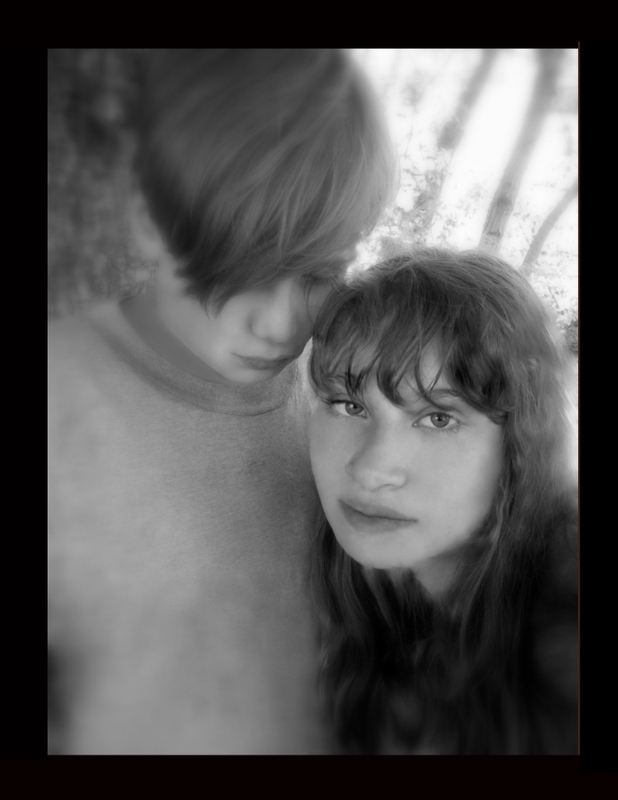 Meet Alex and Winter from Darkspell! Alex reached out and took my hands. A spark of magic passed between us. I didn’t resist and his gaze deepened. Another wave tore through me and I felt his powerful drive to protect me and the desire to share the rest of his life with me. I could see forever, eternity was wide and deep. Having tasted Alex so strongly, so close, so dear, left me empty; a starving sensation that could only be filled by him. I had no idea he felt so intensely for me. His love washed away all doubt from me.I leaned into Alex as my world spun fast on a crooked axis. I breathed him in. I was intoxicated with his burning hold, I was so alive. Every sound was louder, the wind richer as it flowed through me. I was so free, so alive, so untainted by any wicked thing. I closed my eyes, shivering with desire, and imagined the breeze encircling us; bringing us to our feet and drawing us closer like a child’s ribbon. He brought me to him and gently pressed my face to his heart. It was a wild thing, trapped and yearning to be free. My blood sang and my eyes drifted closed. It felt as if my feet lifted from the ground. One hand was soft in my hair as he caressed my back with the other. “How have you come by such magic? Such power to control? Can I come into your world? Can you teach me?” I trembled, savoring every sensation. Meet fantastic Silvina Niccum! She is such an awesome and compassionate friend and is willing to share her authorly experiences if you just ask! If it wasn't for her recommendation, I wouldn't be published! Thank you, Silvina! 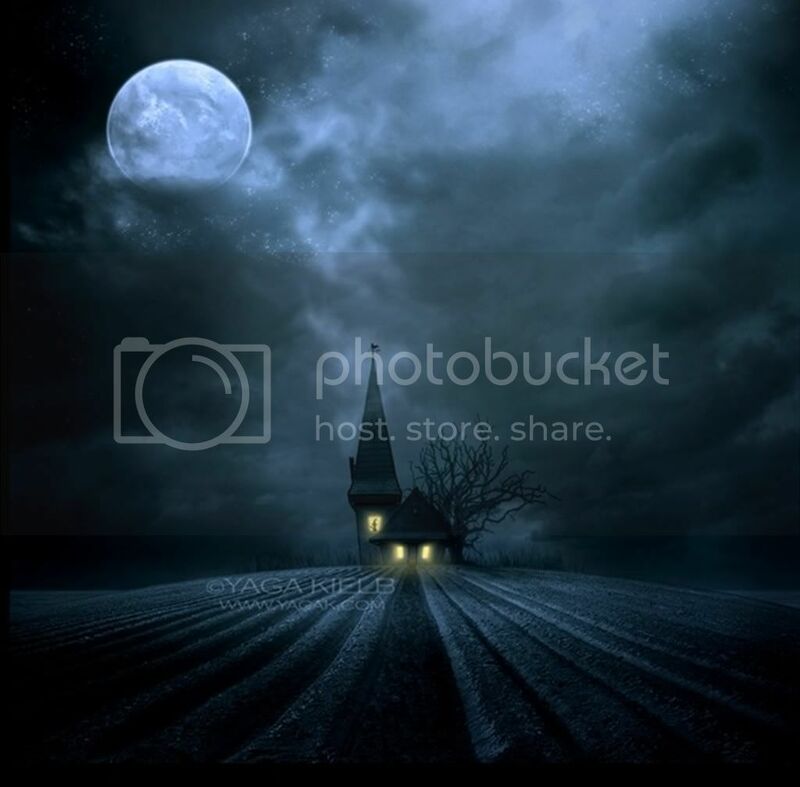 Lovely Charlene Wilson, my Fantastic Friday buddy is hosting me over at Highlighted Author. She was so kind and posted Darkspell's excerpt! Darkspell Excerpt Monday at Lauracea! The wonderful Sue Roebuck is posting an exciting excerpt from Darkspell this Monday at her blog--what a great way to celebrate our country's birthday!